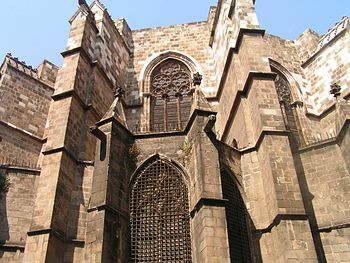 The majestic Gothic Cathedral in Barcelona is located in the Plaça de la Seu, in the Barri Gotic district; the historic Gothic Quarter of Barcelona. 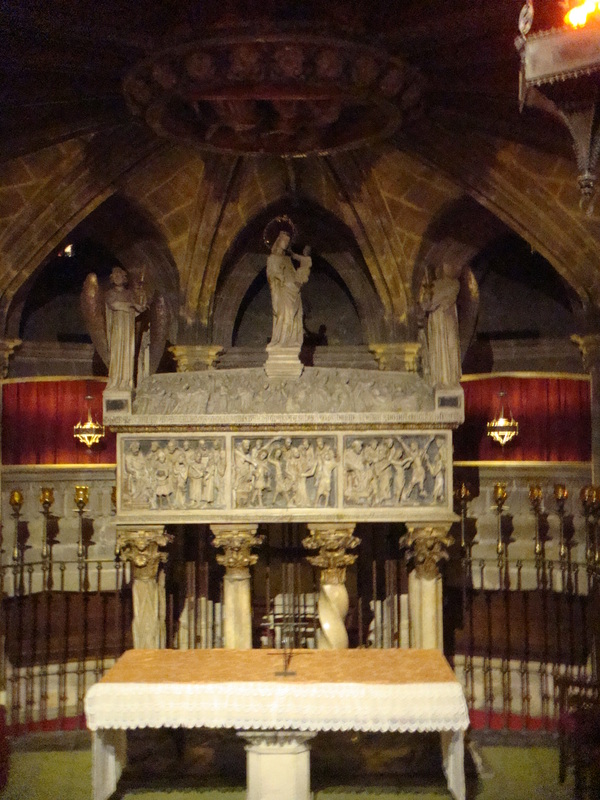 It is the seat of the Archbishop of Barcelona Spain. 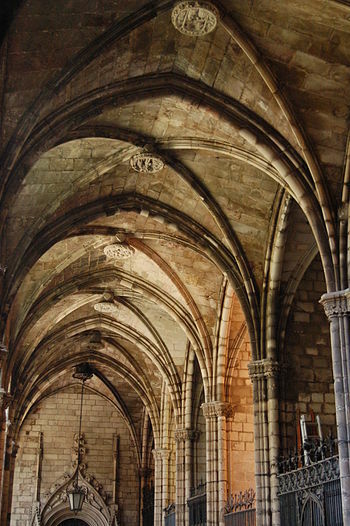 The city’s gothic cathedral is known as La Seu. 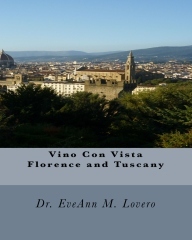 The first stone of the current church was laid in the 13th century, but the cathedral was not completed until the early 20th century. 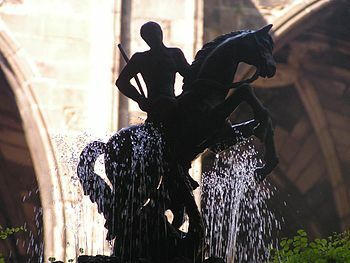 La Seu was named after Barcelona’s patron saint Eulalia. 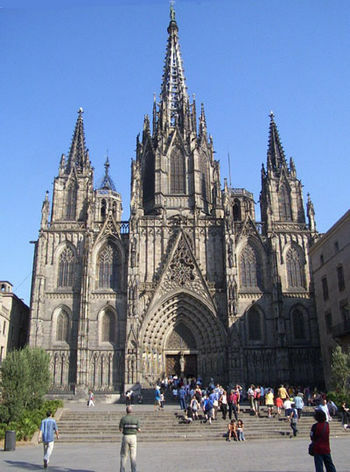 The official name is Catedral de la Santa Creu i Santa Eulalia which is Catalan for Cathedral of the Holy Cross and Saint Eulalia. 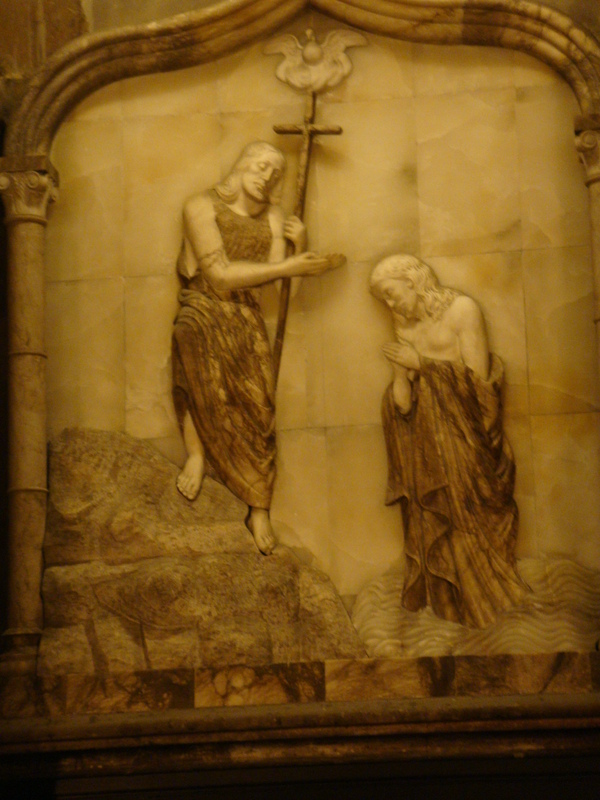 The commonly used name La Seu refers to the status of the church as the seat of the diocese. 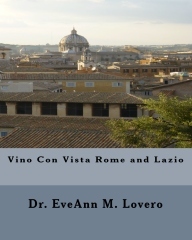 In 343 A.D. during the Roman Empire, a basilica was built at the site of the current cathedral. 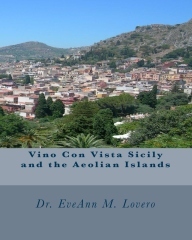 In 985 the basilica was destroyed by the Moors. 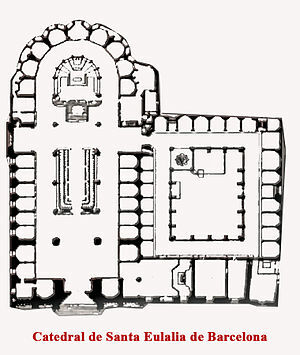 It was replaced by a Roman cathedral, built between 1046 and 1058. 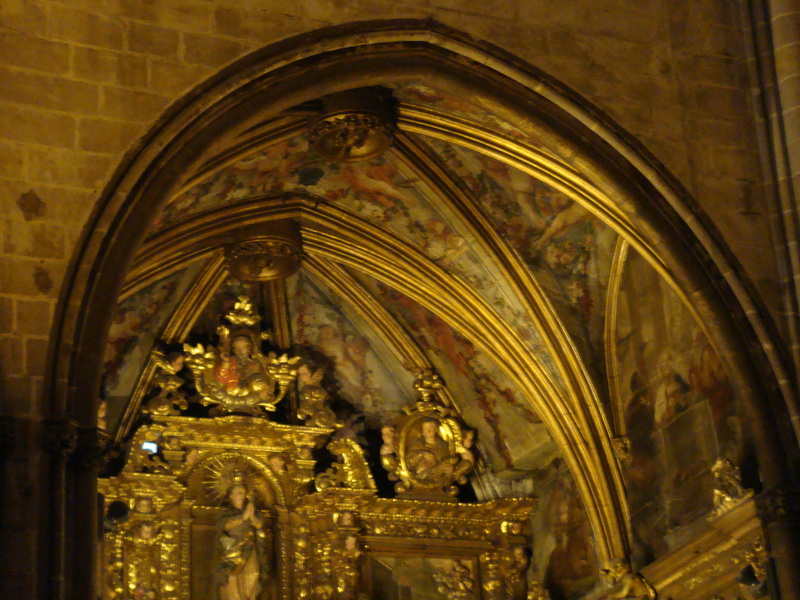 A Roman chapel, the Capella de Santa Llucia, was added between 1257 and 1268. 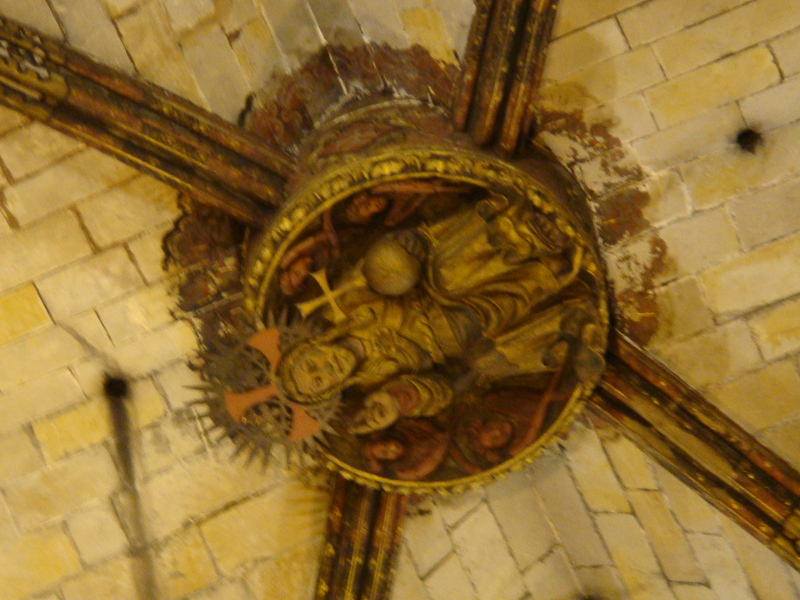 It was later incorporated in the cloister next to the cathedral. 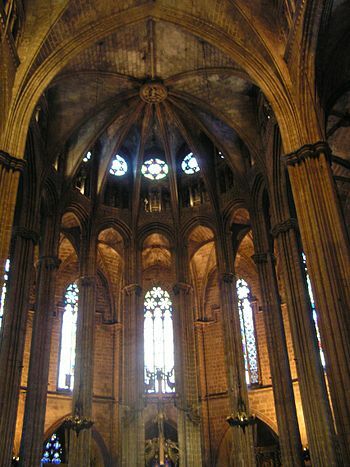 In 1298, construction of the gothic cathedral started under King Jaume II, known as ‘”The Just.” During the construction of the gothic cathedral, the existing roman building was demolished except for the Santa Llucia chapel. It was built between the 13th and 15th centuries over the crypt above the high altar of a former Visigothic chapel dedicated to Saint James. 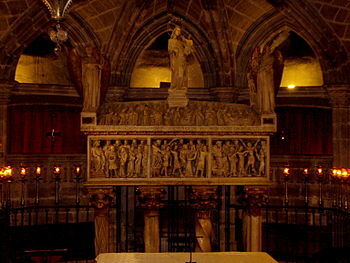 This was originally the church of the Viscounts of Barcelona. 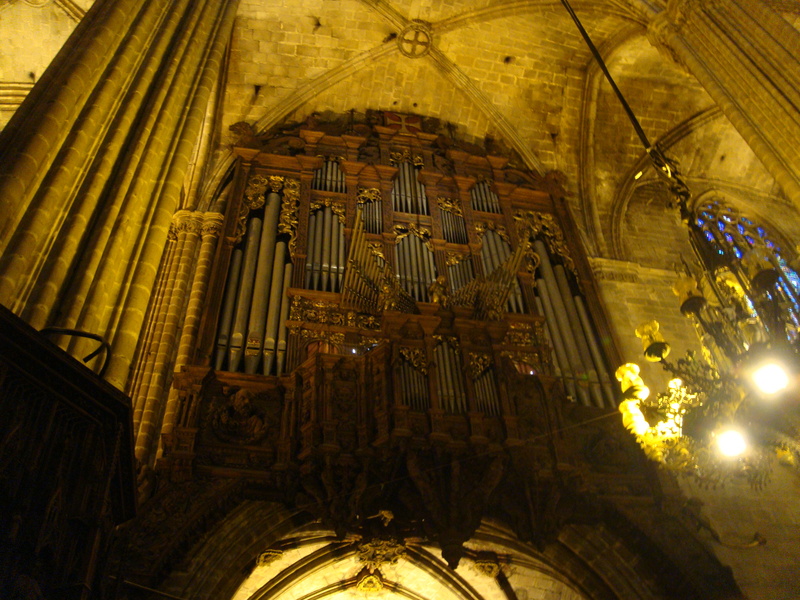 The Cathedral is located on a charming street that frequently hosts concerts and popular events. Civil wars and the Black Death delayed construction. In 1460 the main building was completed and the gothic facade was finished in 1889. The central spire is 230 feet tall and was completed in 1913. The design of both the facade and the spire were based on the original design from 1408 by the French architect Charles Galters. Adjacent to the cathedral is a 14th century cloister. There are always 13 geese in its central courtyard. Each goose represents one year in the life of the martyr Santa Eulalia, a young girl tortured to death in the 4th century by the Romans for her religion. The cloister also contains a small museum with liturgist artifacts. 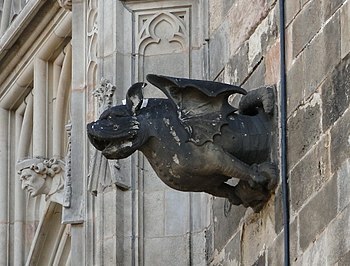 The distinctive roof is covered with gargoyles and features a wide range of animals. 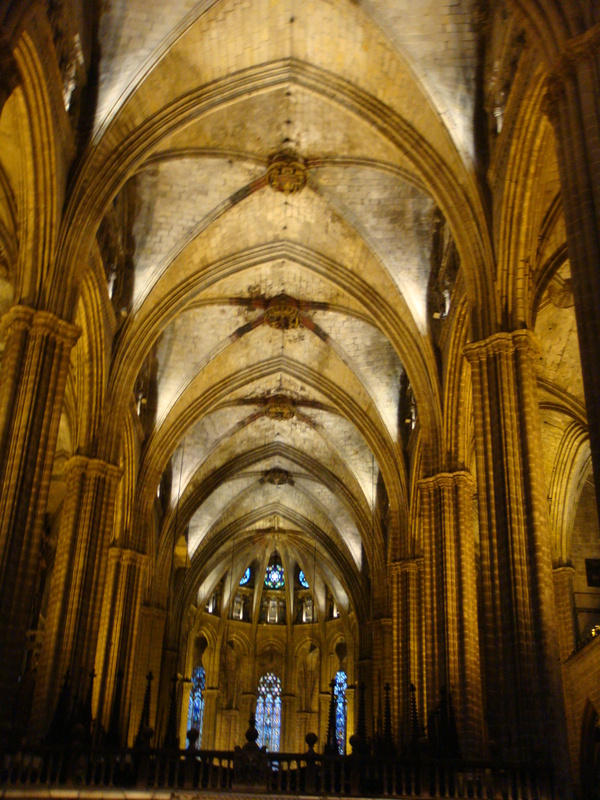 Take the elevator to the top of the cathedral for a panoramic “Vino con Vista” view of Barcelona. 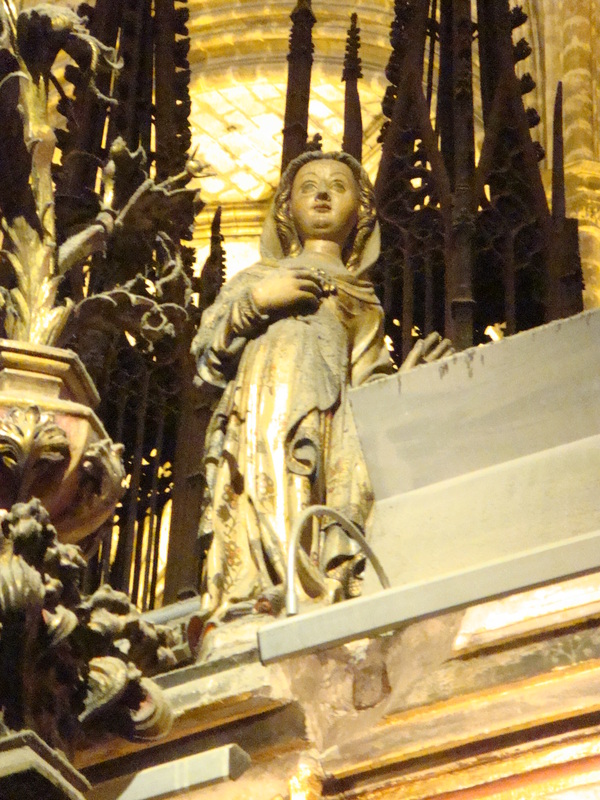 It is dedicated to Saint Eulalia who is entombed in the Cathedral’s crypt that contains the marble sarcophagus of the saint sculpted by Nicolas Pisano. She was martyred during Roman times in 304, under the reign of Emperor Diocletian when the enraged Romans put the 13 year old girl in a barrel with knifes and rolled her down the street. The street is now named “Baixada de Santa Eulalia” (Saint Eulalia’s Descent). 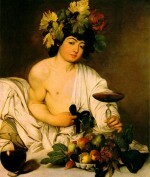 Her Feast day is February 12th. 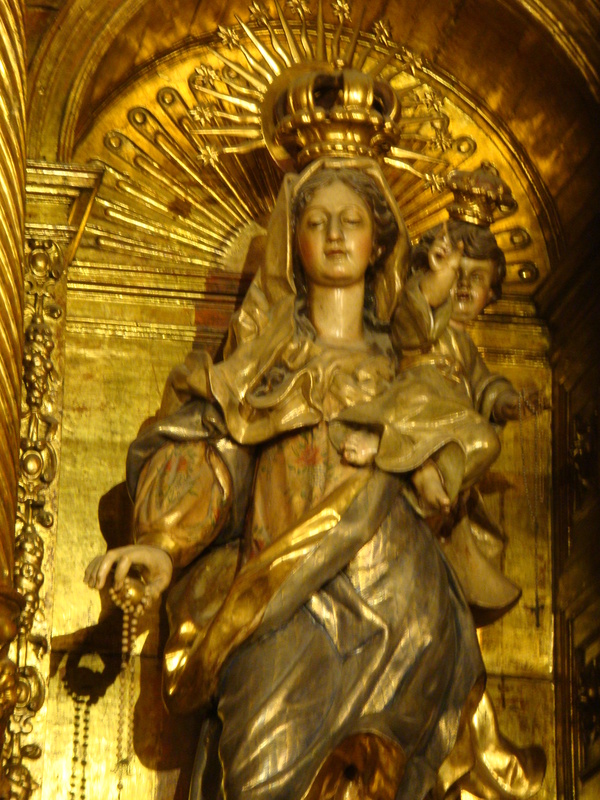 She is the co-patron saint of Barcelona with Saint George. She is also the patron saint of sailors. 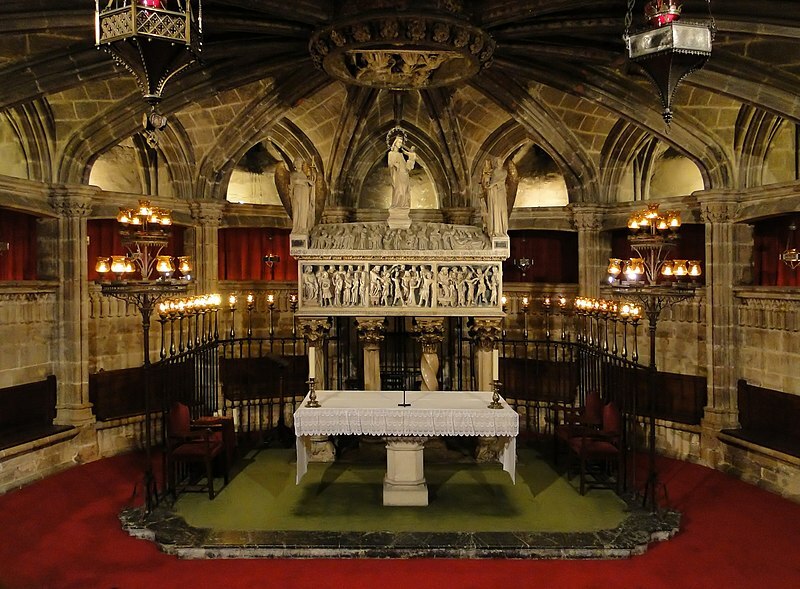 There 28 magnificent side chapels are brimming with treasures. Look up at the ceiling to admire the interesting vault keystones. 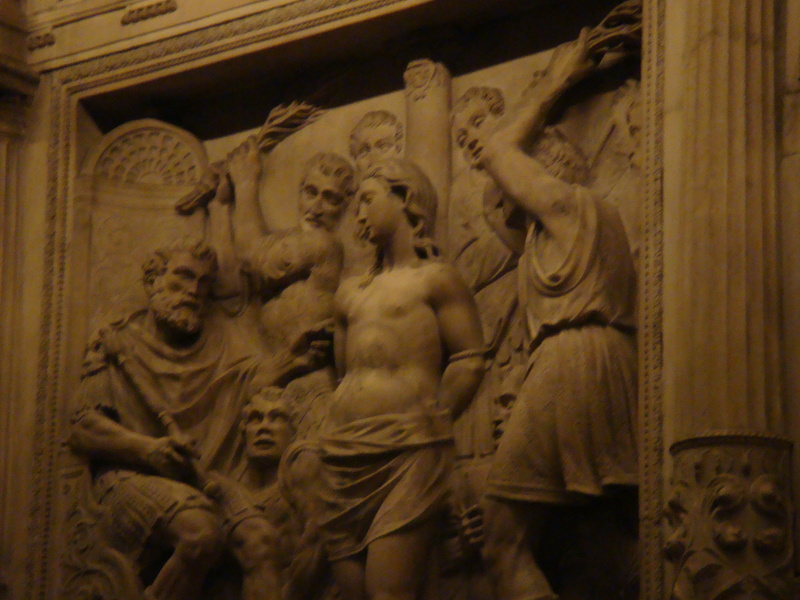 The church is loaded with interesting art and artifacts. 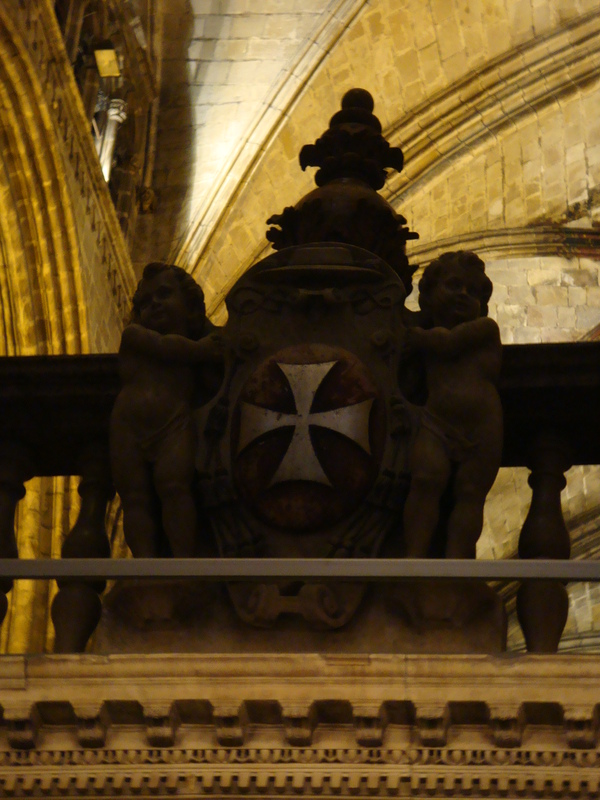 The choir stalls retain the coat-of-arms of the Knights of the Golden Fleece held in 1519. 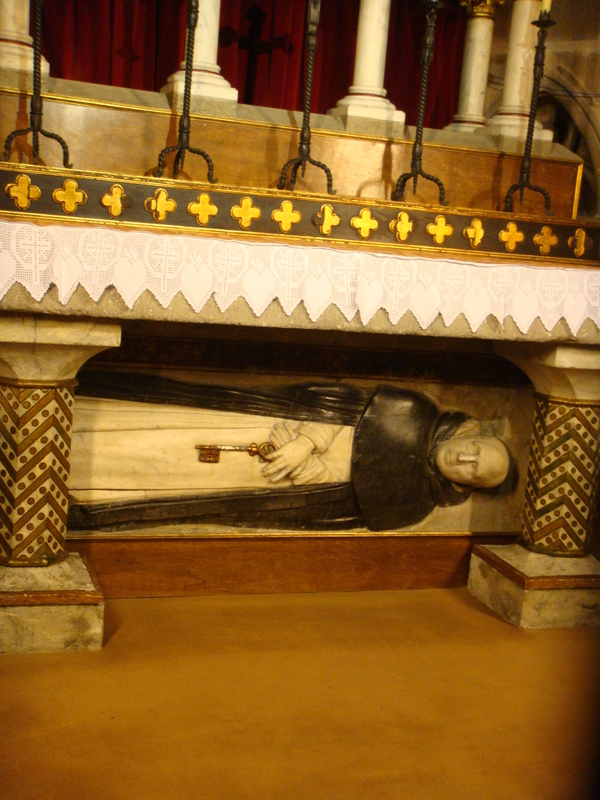 The head of a Turk who was decapitated in the Batilla de Lepanto hangs from the monumental organ. 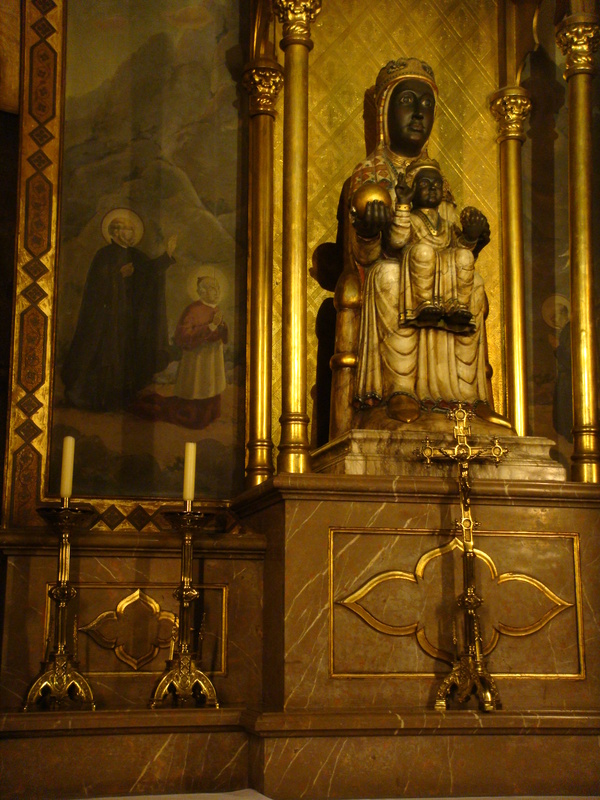 There is an interesting copy of the Black Virgin of Montserrat in one of the side chapels. 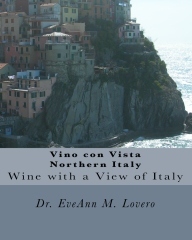 When you finish touring the Cathedral have a Vino con Vista in a nearby cafe. 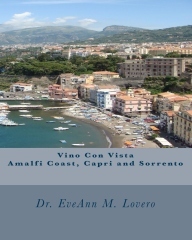 Dr. EveAnn Lovero is a college professor and writes Travel Guides @ www.vino-con-vista.com.